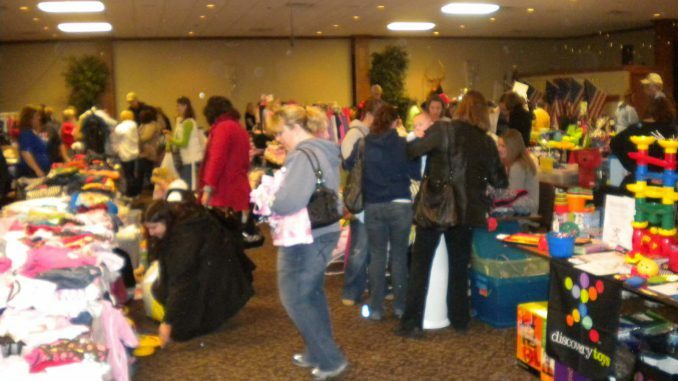 Mom 2 Mom Sales Tips for Sellers – Moms can appreciate the bargains found at local Mom 2 Mom sales but how do you have success as a seller at Mom2Mom sales? 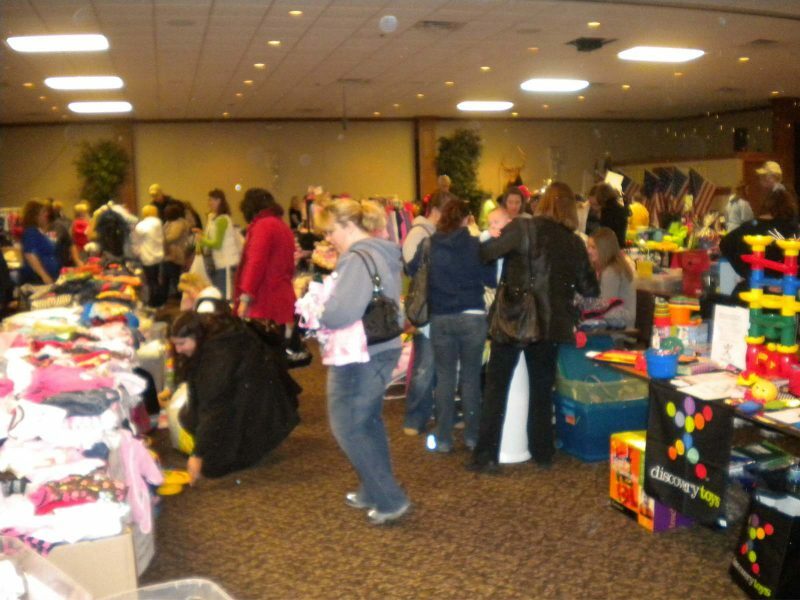 Oxford Orion MOPS (Mothers of Preschoolers) has put together a great guide to help make selling at Mom 2 Mom sales a successful and profitable venture. Come prepared! Bring enough bags to put the items in that you sell at the sale. Come with plenty of dollar bills and change. It your responsibility to have this for your Mom 2 Mom Sale customers. Do not leave your money accessible to the general public. A hip bag/fanny pack is a good idea since it has more than one compartment. You will be offered a lower price at one time or another. It is up to you if you want to bargain. Making a sign to let the public know what size and gender of clothes you have will make things go easier. Clearly label each item with price AND size. It also helps to sort your items by size. Make sure that your items are CLEAN. If there is a problem (zipper needs replacing) you should make sure that is known. It is the responsibility of the buyer to check it out, but if you are up front and let them know, they will know that your table is a reputable one. Do your best to get out stains. If you are selling large items, make sure you clean those also – people are more likely to buy an item at a sale that looks newer, rather than one where they would have to clean before use. Mom 2 Moms Sales Tips – Make sure that your two & three-piece items at Mom 2 Mom sales are connected together in some way, possibly by safety pins or a single run-thru with needle and thread tied off. It is a good idea to have a helper at your table. If you are not willing to barter on the price, post a sign that all prices are firm. On the other hand, if you are willing to barter, you may want to put a sign saying “no reasonable offers refused”. However, keep in mind that if your prices are too high, many Mom 2 Mom sale shoppers will pass up buying things, and you may end up with lots to carry back home. It’s all up to you – after all, it’s your table. If you are sharing a table with someone else, make sure that you have different tags to collect as you make the sale to assure both parties get their rightful monies. After the sale, our organization or a leader of a local charity may accept donations. If you don’t want to haul the unsold stuff back home, inquire about it. There are always places that you can donate your items to, such as the The Problem Pregnancy Center, Salvation Army, or Goodwill. Mom 2 Mom Sales Tips – If you have big items, you need to decide what price to put on them, as they are usually in the big item room away from your table. If you are willing to come down in price, state how much (what is the lowest price you will take) & at what time during the sale you will take a lower offer. Remember that this will be a long day. You can pack a food/drink to make your sales day go easier. If you sign up to rent a table at a sale, remember that the sale hours you MUST be there with your items until the end of the sale. You can use these Mom 2 Mom sales tips when selling at any of the local M2M sales. I’m looking for a crib if anyone has one kinda cheep plz let me know … Have two grand babies on the way …. Have u found a crib yet?